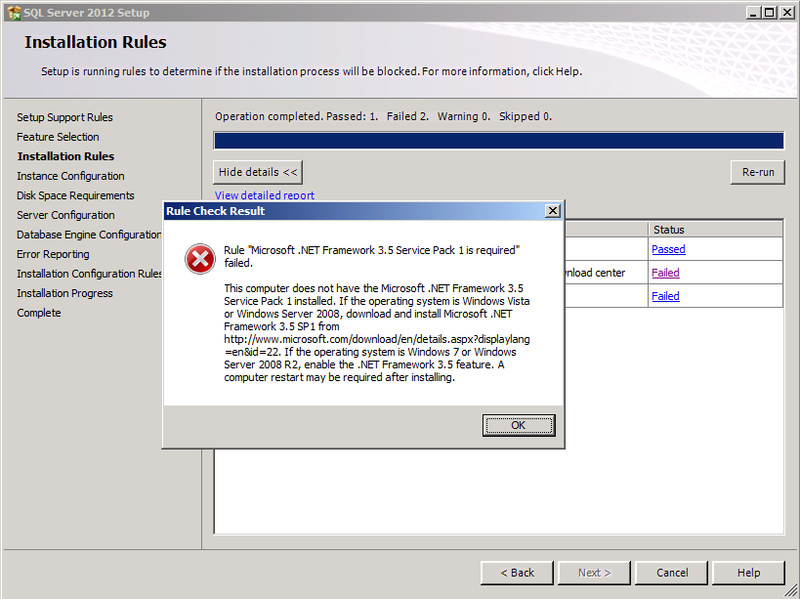 SQL Server setup rules failed. 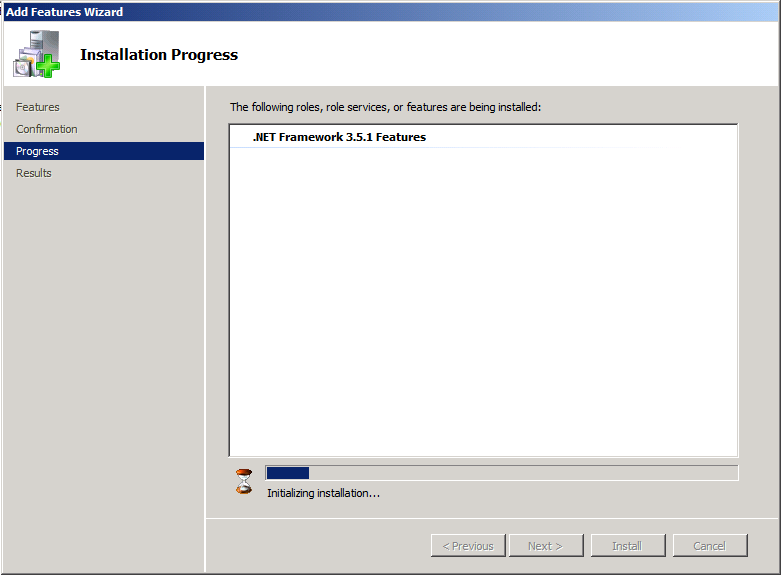 Applies to: SQL Server 2012 Express Edition with Tools. 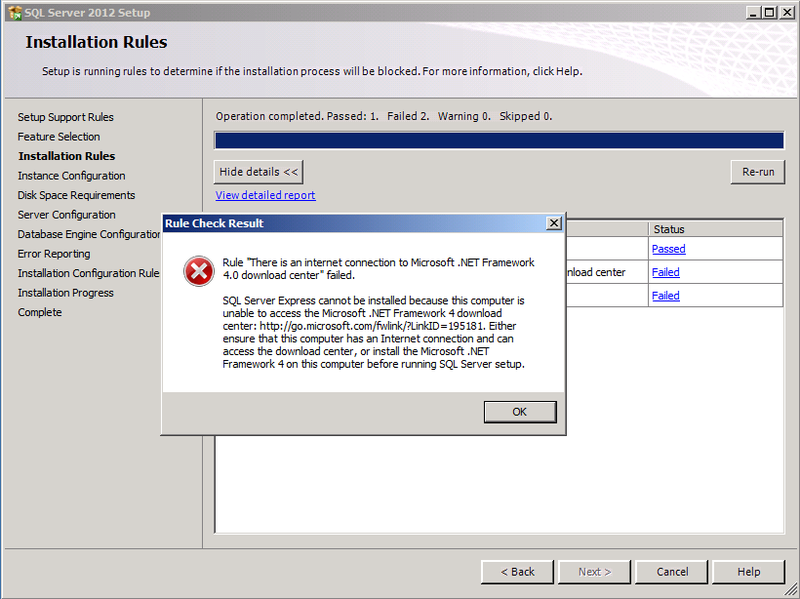 If we make a click on the first "failed" link, SQL Server setup let us know that we need to download .NET Framework 4.0 and install it manually, since setup is unable to download it by itself. If we make a click on the second "failed" link, SQL Server setup let us know that we need to enable .NET Framework 3.51 which is required by SQL Server 2012 but is already part of the operating system on Windows 7, Windows 8, Windows Server 2008, Windows Server 2008 R2, and Windows Server 2012. 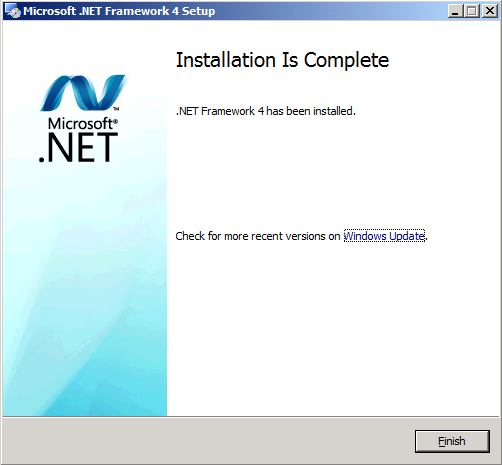 On client operating systems like Windows 7 and Windows 8, you should turn on the .NET Framework 3.5 SP1 feature by opening "Programs and Features" on Control Panel, then make a click on the "Turn on/off features". On server operating systems like Windows Server 2008, Windows Server 2008 R2 and Windows Server 2012, please perform the following steps. First open Server Manager, make a click on the "Features" option on the left panel. 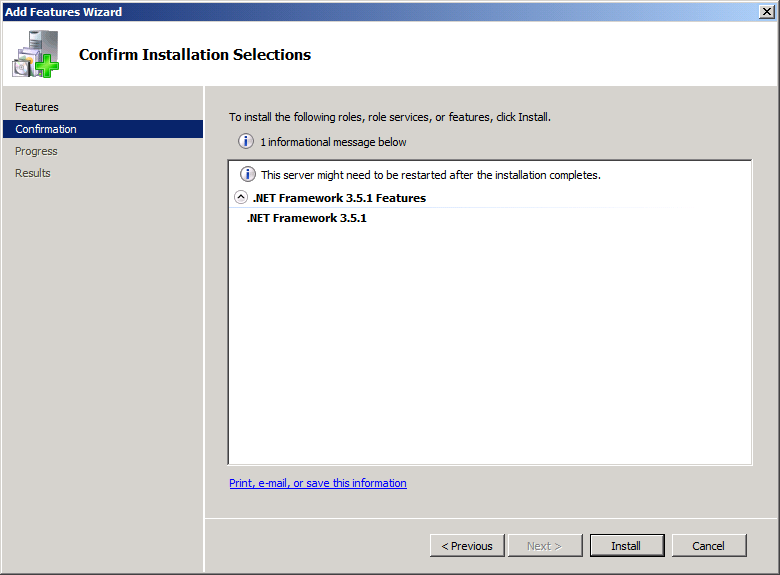 Select the .Net Framework 3.5 feature as shown in the image below, and click the Next button. Now make a click on the Install button. 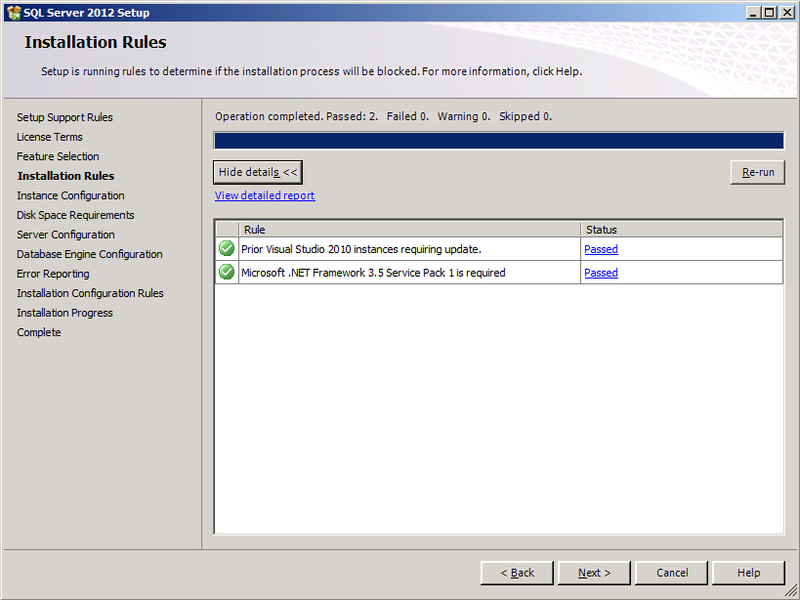 Now return to Installation Rules page of SQL Server setup, and click the "Re-run" button. As you can see, now we have one failed rule on this set of rules. 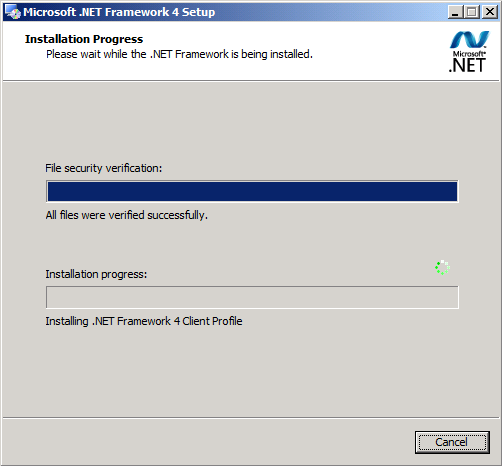 The standalone installed of .NET Framework 4.0 can be download it here. Run the .exe file downloaded. 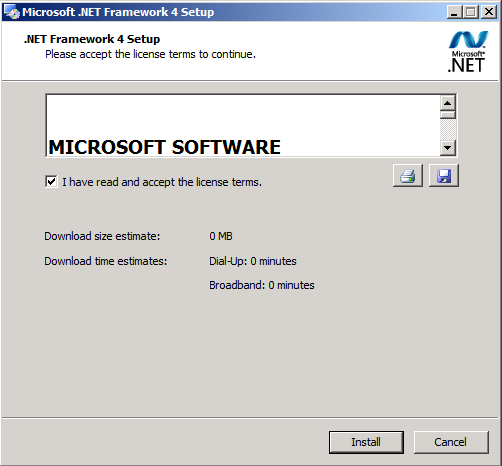 Click on the checkbox to accept the license agreement. 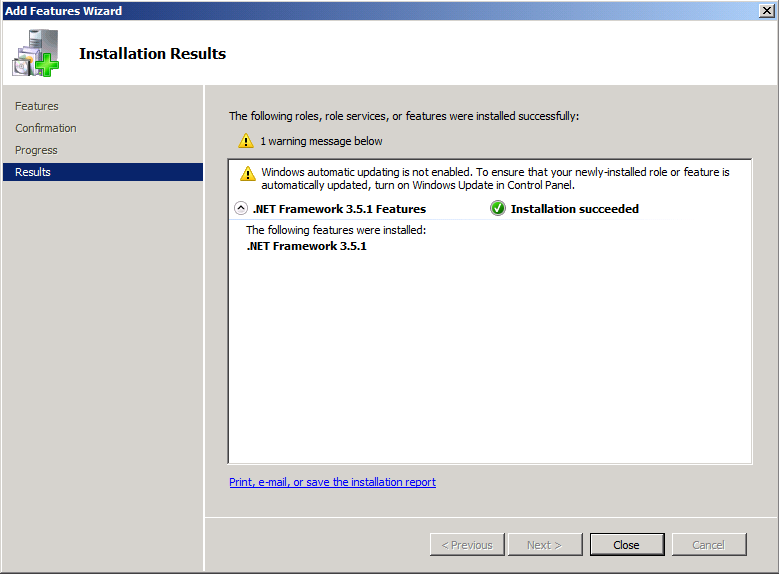 On the following screen, click on the Close button. Try to click on the "Re-run" button again, and verify all the rules pass the test. 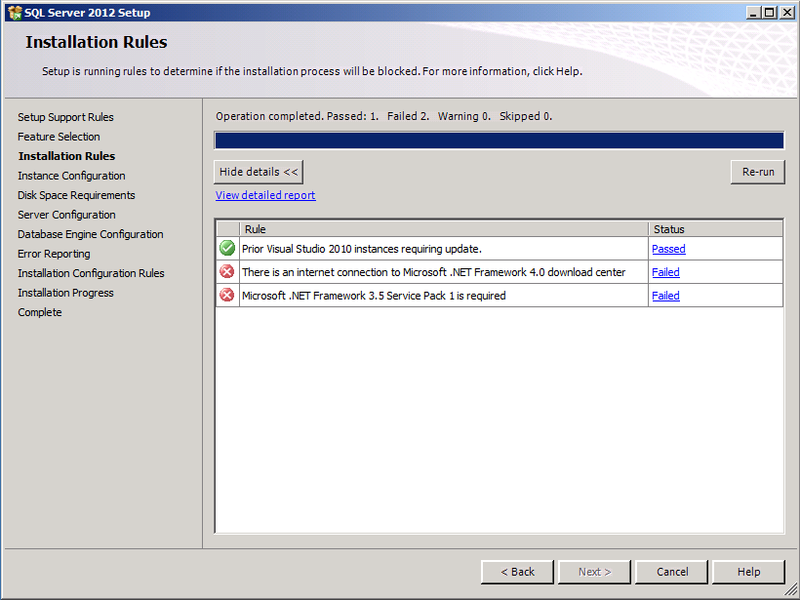 If the .NET Framework 4 rule still fails, the click on cancel to abort the installation, and the run SQL Server setup again. The below image shows the expected results. Now you can continue installing SQL Server 2012 Express Edition.